There is a rhythm to a road trip and we have found it. After ten days exploring, from Oregon into Idaho and Utah, the desert landscape is a new palette of red and burnt orange, dotted with pinyon and juniper. It is still early spring in the Four Corners Region of the American Southwest, and the cottonwoods along the riparian slopes are just beginning to be fringed in yellow. There is rabbit brush, yucca, sagebrush, wild petunia. From the open car window, I hear the calls of chickadees. Passing through the Vermillion Cliffs, into Bryce Canyon, Utah, at an elevation of 9,000 feet, the quaking aspen are turning golden now. We see the occasional bristlecone pine, ancient and parched with roots exposed like veins on the hands of an old woman. 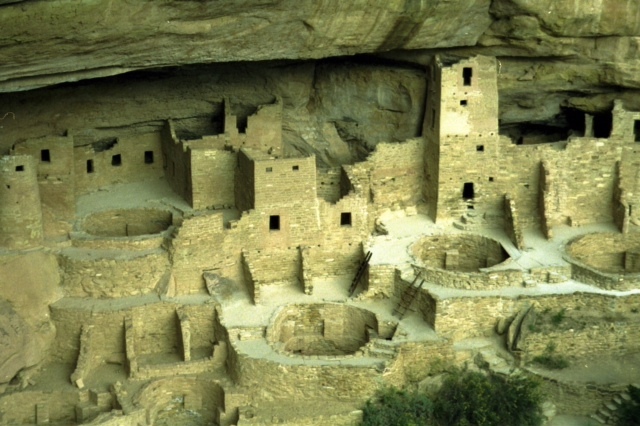 After the crowds in Bryce, Arches National Park, and even at Mesa Verde, Colorado, where the Anasazi–often called Ancient Puebloans–built cities high into the walls of the canyons in places accessible only by ladders and footholds carved into rock face a thousand feet above the valley floor, we are hungry for more stillness. When you want more stillness than the wind and the raven, you know you are ready for Chaco Canyon. Coming from the north into northwestern New Mexico, the road into the canyon includes about eight miles of paved road and more than 13 miles of washboard gravel so rough that no buses or RVs can travel it. There are Navajo hogans along the way; we are on tribal land. By 6:45 p.m., we find a campsite by good luck only–there are very few–and settle in on camp chairs to look at the sky. Chaco Canyon’s night sky is well known. 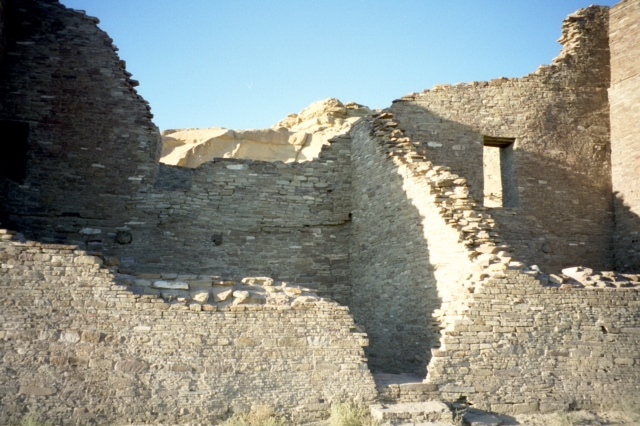 In May, 1998, the National Park Service dedicated the Chaco Observatory, helping to strengthen the connection of the modern world to the Chacoan people of centuries ago. The night sky, clear and brilliant, undefiled by any light pollution, helps explain how one of the world’s best known pictographs, the Supernova Pictograph, could be created by ancient peoples enthralled by the world they saw in the sky. 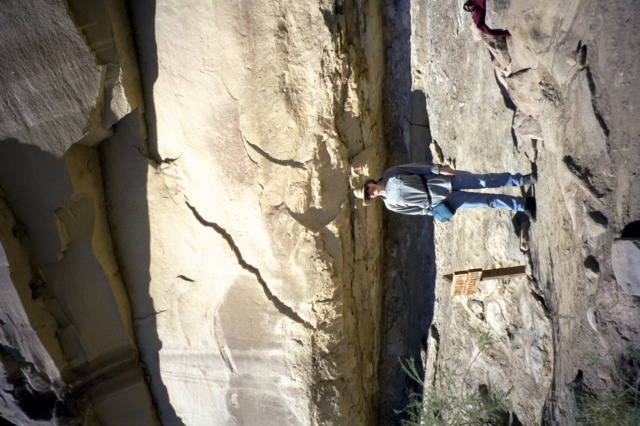 Everything in Chaco, the great Kivas, the way the roads are designed, all take the heavens into account. No one knows for sure why the Chacoans died out, but one thing is known: they left ruins indicating that this was a significant crossroads of travel and commerce between the peoples of the region. The next morning, we take the eight-mile hike, easy except for the river crossing, along Penasco Blanco and the Supernova Pictograph Trail. Along the trail we see petroglyphs, actual carvings into the rock walls, which are different from pictographs, basically paintings on the rock. It is a surprise to come to the actual pictograph, because it is about 20 feet up under a ledge, accented by pouch-shaped cliff swallow nests. How did the artist, or artists, do it? 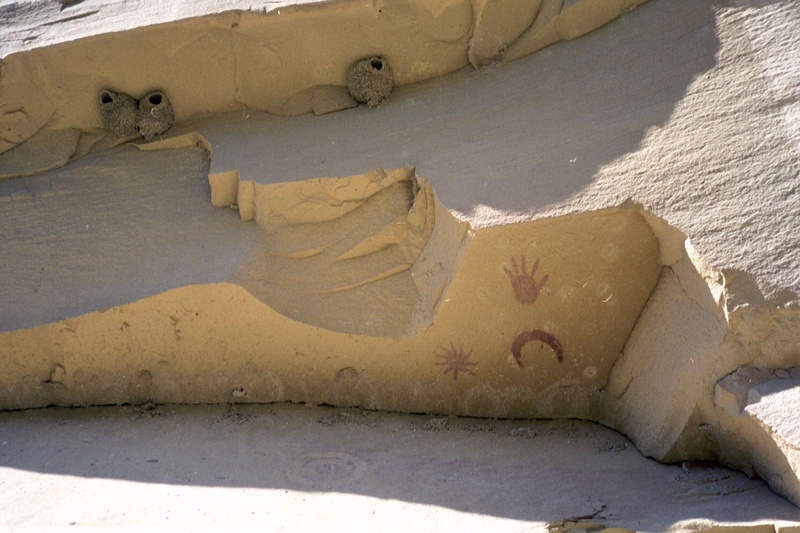 The four symbols of the pictograph grouping are light red, made from an animal fat dye, something that wouldn’t fade over the centuries like plant dyes. There is a crescent moon, a star-like symbol, a concentric circle (the symbol for sun-watching), and a hand–a child-like, pure and remarkable hand with fingers spread wide. Scholars estimate that the paintings were created in 1054, concurrent with historical reports in China and India of a supernova explosion in Crab Nebula, in the constellation Taurus. For perspective, our own sun is too small to create a supernova. This would have been a monumental celestial event. I can only sit in awe of the minds of those who saw their sky transformed–maybe they thought the world was coming to an end–and created a picture on the rock as if to say: I was here and I saw this. 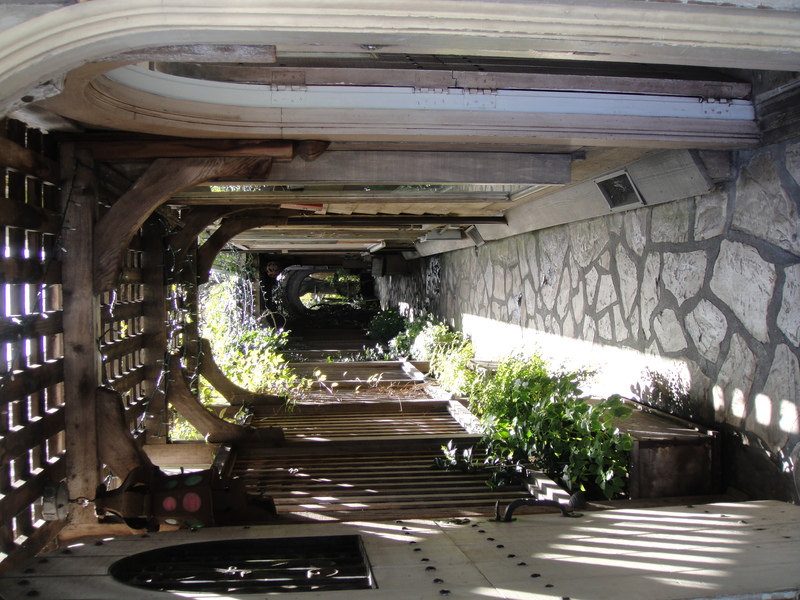 Carmel-by-the-Sea may be dripping with quaintness but, happily, it’s not a theme park. It’s just a sweet, charming, expensive place on the edge of a wide California beach, 122 miles south of San Francisco. As I stroll by fairy-tale houses, sleek plate-glass contemporaries, and a few concrete monstrosities (to me, anyway), I notice there are no street addresses. My friend Barbara, our ever-gracious hostess and tour guide, tells me that residents use post office boxes for their mail. No need for numbers in this posh little town. Art galleries abound, bed-and-breakfasts offer a warm welcome, and several restaurants have terrific food. Le St. Tropez is our lunch spot of choice this time. Chef Jean Humbert combines modern and classic French cookery in his “cuisine of the sun.” Sample appetizers: escargots in garlic butter, smoked salmon en brioche, and arugula with chevre and caramelized onions. A taste of French onion soup, crusty and almost spilling over the edges of its white bowl, takes me immediately to a cafe in Provence. 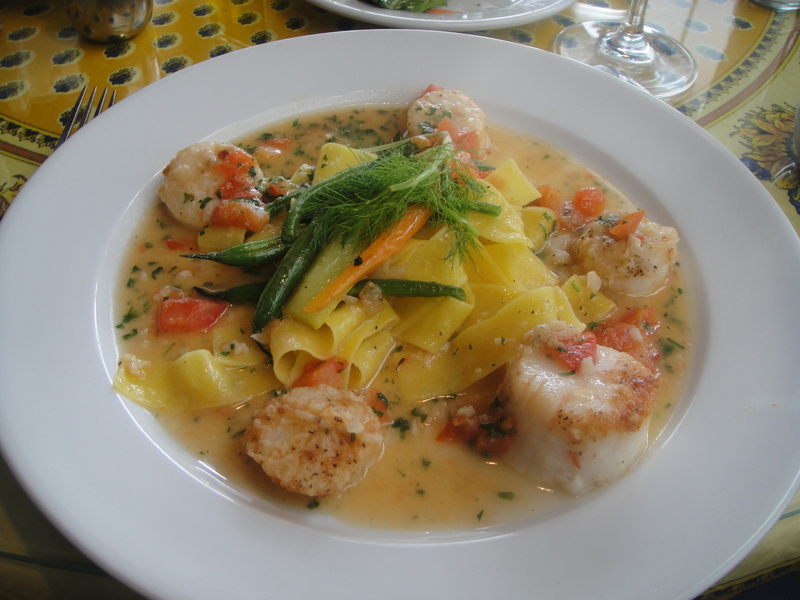 The seared scallops are melt-in-the-mouth tender and served with white wine garlic sauce, diced tomatoes, and egg noodles. French wines, French scenes on the walls, blue and yellow Provence-style tablecloths–we’re almost in France, without the airfare. 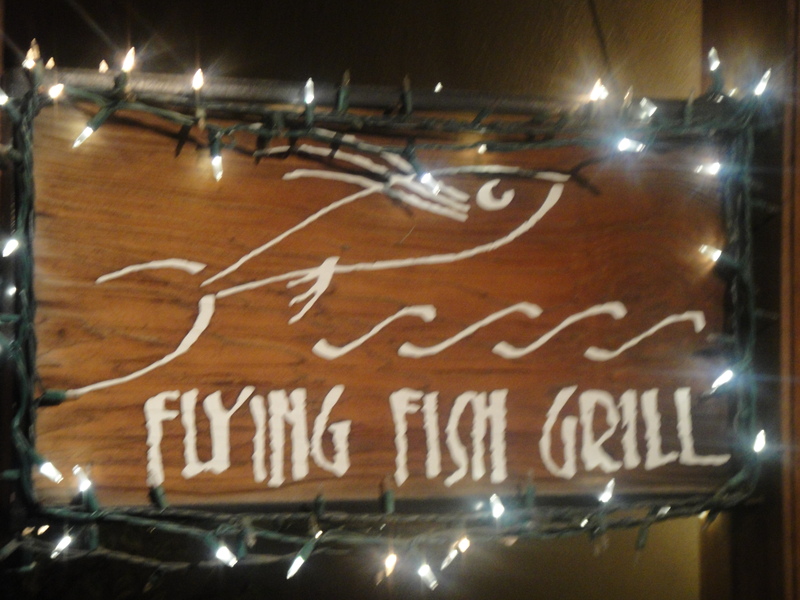 Dinner at the Flying Fish Grill is different. This cozy restaurant with wooden booths has a mirrored wall that makes it seem bigger that it is. A friendly staff serves Tina and Kenny Fukumoto’s East-West fusion dishes, combining choices from the best of both worlds–sake or California wines; sushi or Monterey abalone; rice or fries. Crisp, light wonton chips are excellent with a light salsa. 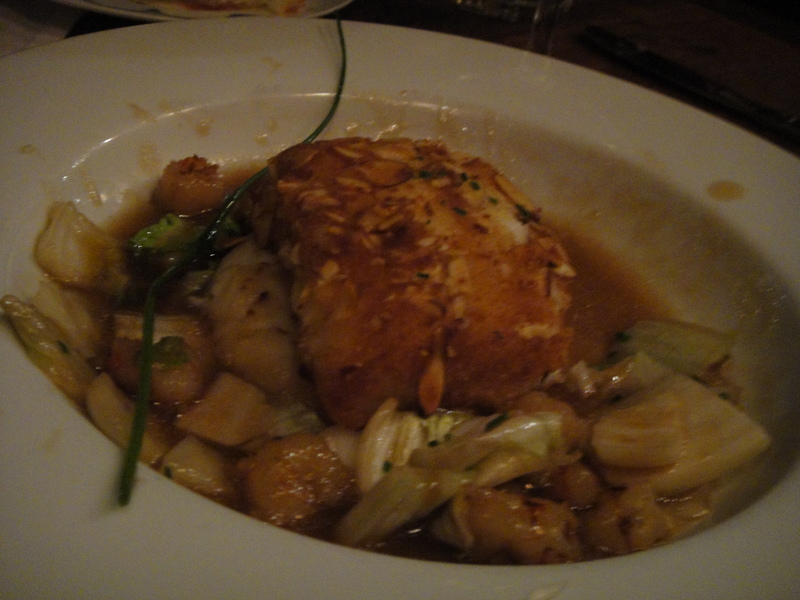 Sea bass has an almond crust and comes with whipped potatoes, Chinese cabbage and rock shrimp, while halibut is served with black beans, ginger and scallions steamed in paper pouches. I’m loving the shrimp-curry soup but curious about the famous claypot. That’s seafood, beef or vegetables, cooked at your table and combined with rice noodles, broth, lemon shoyu, and sesame sauce. It’s the signature dish of the Flying Fish Grill. The dessert menu has more East-West options, from creme brulee to green tea sundae. It’s one more treat to return for, when I come back to Carmel to walk the beach, shop, admire the cypress trees and seascape,, and eat very well indeed. Jason Brick, Portland, OR, a freelance writer. He’ll share his strategies for writing full-time while being a house-dad and utilizing his business experience to gain paying gigs online and in print. Michael Fagin, Redmong WA, FL writer, blogger, and weather forecaster. He plans to tell us how he casts a wider net with his freelancing endeavors. Sue Frause, Whidbey Island, WA, FL writer, blogger, and social media expert who also does radio and culinary theater work. 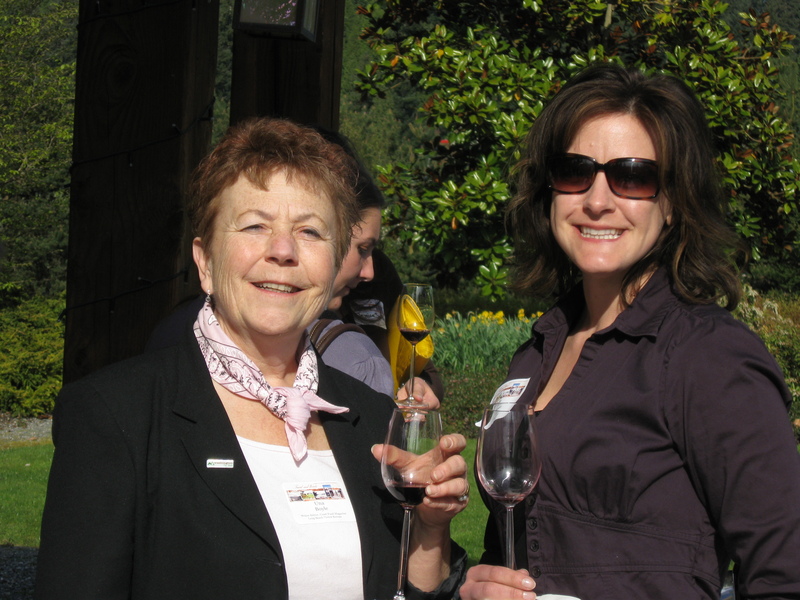 Sue will give us glimpses of the travel writing life, frequent ferry trips, and her love of B.C. Her blog: www.ClosetCanuck.com. Karen Gilb, Vancouver, WA, FL writer, travel blogger, and fiction writer. 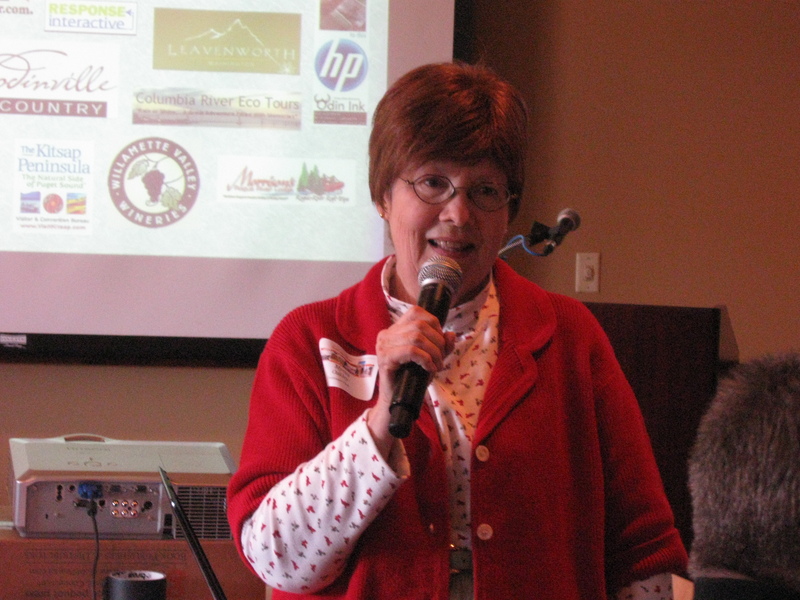 She’ll talk about looking ahead and how she is expanding her Northwest writer’s brand for 2012-2013. Marty Wingate, Seattle, WA, FL garden writer, garden tour developer, and mystery writer (The Garden Plot and the Potting Shed series). Marty will tell us about marketing and how she connects her niches and travel interests. Carrie Uffindell, Portland, OR, FL writer, travel blogger, and fiction writer. Carrie specializes in family travel in the Pacific Northwest and in Wales and will discuss how she does it successfully. Thanks, Myrna. I’m looking forward to a great time at Fort Worden State Park Conference Center and a visit to the historic charms of Port Townsend. And to meeting writers, bloggers, editors, and tourism and winery reps. See you there.